These days, I power up my Playstation 3 on a daily basis. But it's not to play video games. I use it to watch TV shows on Netflix. There was a time in my life... when video games and sports cards competed against each other for my attention. They both entered my life at about the same time: early 80's. But there's no denying that my Atari 2600 reigned supreme for the first few years. Then I started to play sports and with that my interest in collecting cardboard grew. This epic battle continued into my early 30's. Some years, I preferred collecting cardboard... other years, I chose to pick up a controller and sit in front of the television. 1987 was a big year for me. That's when the war really heated up. If there was a pinnacle point in my "nerdhood"... this was it. It was the year I began buying cards as an investment. That year, I also received my Nintendo Entertainment System for Christmas. Unfamiliar with the NES system? It's an 8 bit console that set the standard for many future gaming systems. A few years ago, IGN named the NES the #1 console in the history of video games. 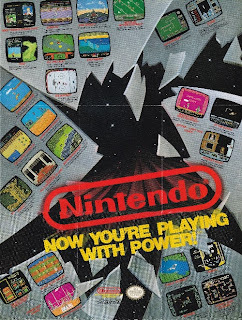 Nintendo sold over 60 million consoles from its release date in 1985 until they officially discontinued it in 1995. 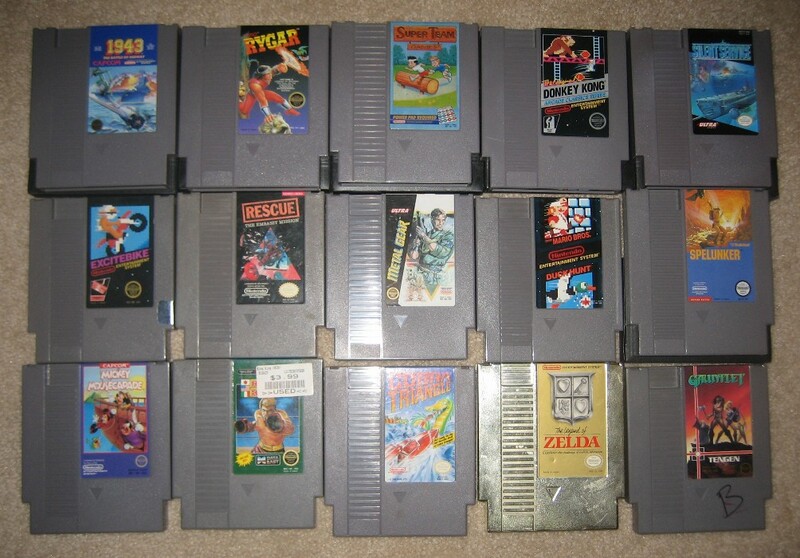 As of 2009, over 500 million NES games have been sold. Over the years, I've slowly built a small collection of games. And two weeks ago, it doubled in size after my buddy donated his system & games to me. Unfortunately, I have everything a gamer needs to set this system up... except for one thing: SPACE. Maybe one day, I'll own my dream home with the cool mancave. 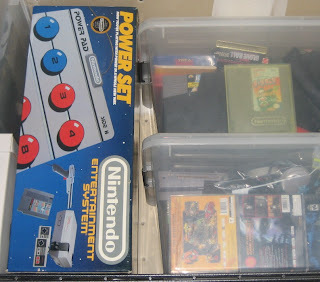 Which is why my NES is tucked away in my garage with all of the other clutter. Nostalgia at it's best! 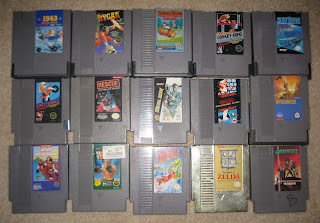 Oh NES how I miss thee! Nice to see another video game collector and gamer here. Great read! 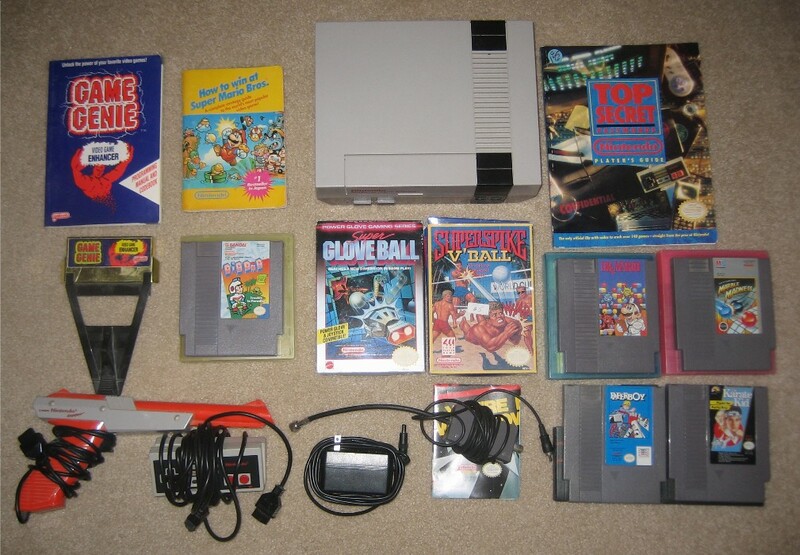 I still pull out my NES every once in a while and play Tecmo bowl or Baseball Stars! Me too... my nephew is coming over in a couple of weeks. I guarantee we'll be busting out my NES. I actually sold a lot of my video game collection when I moved out of my parent's house years ago. I wish I would have kept them. These days, I enjoy watching some of those video game collectors on YouTube... it's insane how many games those guys have. I love Tecmo Bowl... I'll keep my eyes peeled for Baseball Stars the next time I hit up the flea market.